William Dalton Cornish was born April 29, 1849 in Middleborough, Massachusetts. After being admitted to the bar in New York, Cornish moved to Saint Paul in 1870. 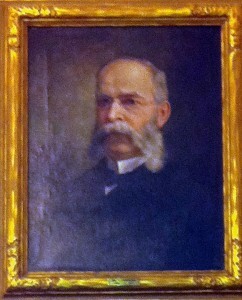 From 1883-87 he was a member of the Minnesota House, serving District 27. In 1890 he was appointed to the bench to fill the vacancy left by the death of Orlando Simmons. Judge Cornish left the bench in 1893 and was appointed Special Master of Chancery of Northern Pacific-Union Pacific executive receivership cases. He was later made Vice President of Union Pacific-Southern Pacific railway system, the Oregon Short Line, and the Oregon Railroad and Navigation Companies under E.H. Harriman. It was on a business trip to Chicago on November 7, 1908 that Judge Cornish died of heart failure.